This week at The Paper Players, Nance has a colour challenge for us. Isn't it inviting? 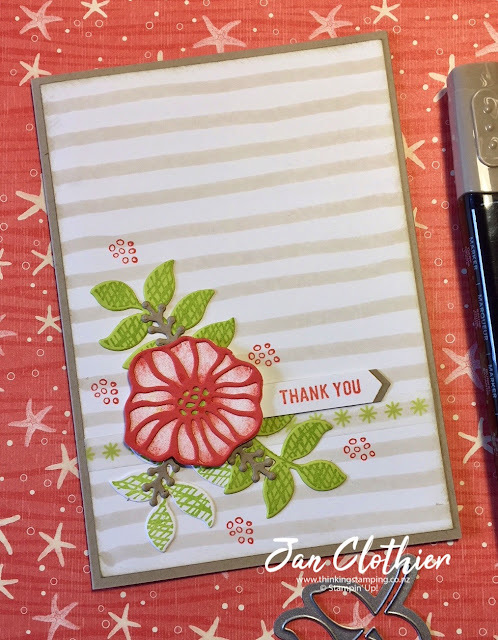 When I was browsing the new Annual Catalogue, I noticed a card where the background had been made using Stampin' Blends. I've always liked those striped backgrounds that look a bit wonky, which is why I'd bought the now-retired Brushstrokes background stamp. It had never occurred to me that I could make my own using the wide tip of a Stampin' Blend! 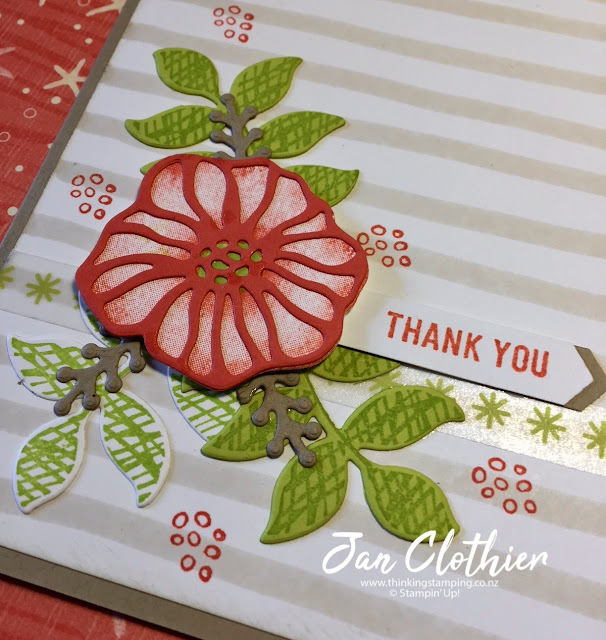 Oh So Eclectic is a great set because there's such a variety of leaves and flowers and ways to arrange the various elements. I've not really used these cross-hatched leaves much before but they're a fun element. I couldn't resist adding in a touch of the washi tape, even though it has now retired. 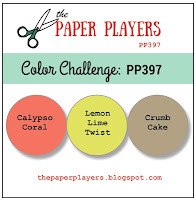 Pop over to The Paper Players and see what the rest of the team have done, then why not join us? And, of course, you can shop with me from anywhere in New Zealand by clicking the SHOP NOW button in the sidebar of this blog or click on any of the products listed below.